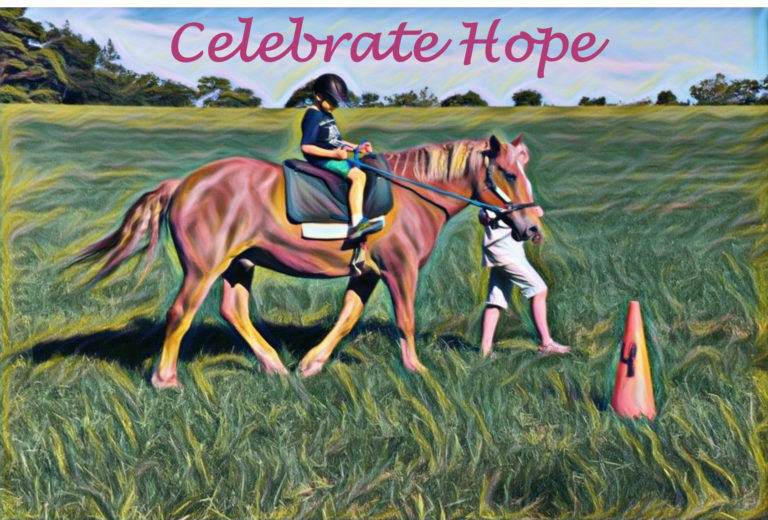 Hope Springs Equestrian Therapy celebrated our 21st year of service to riders with disabilities by holding our annual fall fundraiser "Celebrate Hope!" on Sunday, October 7th from 11 am to 3 pm. All proceeds from this fundraising event will directly benefit the riders of Hope Springs. View our 2018 event program. Online tickets can be purchased until September 25th using the form below. Tickets also available for purchase at the door on October 7th: $50/adult or $15/child under 13. Yes, I want to sponsor this event! I can't attend but want to donate! Your contribution to Hope Springs, a 501(c)3 non-profit, is tax-deductible in accordance with IRS regulations. Reserved tickets can be picked up at the event on October 7th. To SPONSOR this event, please use our Event Sponsor Sign-up Form. To DONATE an item to our silent auction, please use our Silent Auction Donation Form. Sponsors and donors can find our IRS 501c3 determination letter here. For additional information, email us or request a call-back by dialing (484) 202-0634. I wasn't able to attend, but would like to donate.